How Do You Start a Sales Pitch Over the Phone? Are You Having Problems Focusing on Homework? Free Online Certification Courses in Australia – which are the best? What Makes Kerala An Ultimate Travel Destination? Java vs. Python: Which Programming Language Is Best? Google AdWords remarketing is a type of digital advertising which will allow retargeting your website visitors and enticing visitors to come again for complete transactions. It will help site owners to reconnect with their potential clients by displaying related ads. For example, people visited your site and moved on another site without completing your goal then they will see remarketing ads while browsing other sites. As the name suggests, remarketing is the reminding of a user that you have products or services that they want. How does this work? 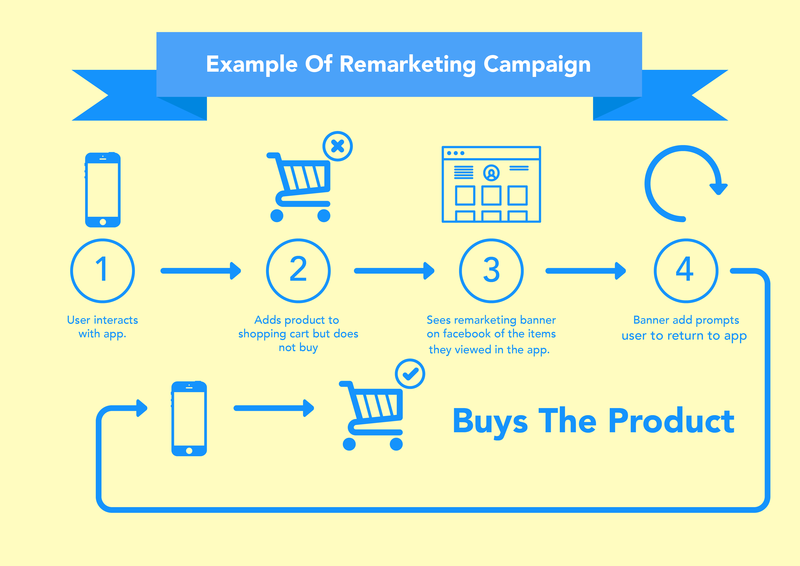 This easy-to-follow video explains the basics behind remarketing. Essentially, the remarketing website captures your IP address and behavior as a user. If you satisfy certain conditions, and you happen to visit other relevant websites containing ads from Google’s display network, ads from the remarketing website show up. What does this mean for the remarketer? Basically, this prolongs their brand and exposure to certain users, inevitably increasing their conversion. The remarketer can also tailor their advertising message to different groups of interested people according to their actions whilst they were on the website. Overall, their message is being seen by users who are interested in what they have to offer. So how can we capitalize on this already intelligent manifestation of the internet’s potential? There are numerous approaches that can be taken; a little imagination and nous go a long way. First of all, ensure that the target market receives relevant messages. There is no point advertising a product to customers who have already bought it (assuming such a product is not a consumable.) However, complementary products may be a good way to go. Another example of relevancy could include a user that dumps a cart with a certain product in it. This user can be exposed to ads offering a discount on that product. Alternatively, the old ‘free shipping promo code’ is a great idea as shipping costs are a big shopping cart spoiler for unsure buyers. Whatever your target audience, ensure your message is relevant, interesting and incentivizing! Another clever use of remarketing is by targeting old lists. Sending out ads to users that visited or bought from your website a year ago often results in good conversion. Think about annual events like Valentine’s Day, Mother’s Day or Christmas. When promoting your brand, it’s a good idea to ensure your ads are consistent with your website’s feel and logo. The landing pages should always have a convenient call to action. Additionally, a photo of the product the user originally viewed generally engenders attention! Don’t inundate your users with remarketing though, especially if they have recently converted! Cap the frequency of impressions to what you feel is ideal so as to avoid hampering the best potential of remarketing. At this point, your brain is probably firing all sorts of great ideas right now on how you can increase your business brand. Remarketing is a perfect avenue for increasing consumer loyalty, conversion rates and word of mouth. There are also a myriad of other opportunities that can result from remarketing – if you can think of more, let us know in the comments section below. The first thing you need to do is create a list of Cookies from users who visited your domain. In Google Adwords, go to the ‘Shared Library’ category and click on the ‘Audiences’ drop down. Then select the ‘Remarketing List’ option. The default membership duration is 30 days. Enter in your desired membership duration. Please keep in mind that the EU has laws in place regarding cookies and their durations. A tag will be created that will need to be pasted just before the closing body tag on the specific page on your website. You can differentiate between mobile and conventional sites as well. These tags can be added to your social networks or external blogs as well. Negative lists can also be created to stop advertising to users who reach the desired conversion. This is especially useful when not advertising to users who have already bought your advertised product. Remarketing is a powerful avenue of personalized advertising that, if used correctly, can really reel in a good catch. The marketer simply needs to know what bait to use and when. If your business is using an external online marketing company, talk to them about this prospect and communicate your goals closely with them so they can better manage your paid advertising. A little bit of smart work will most likely pay off with effective monthly and annual advertising campaigns. Remarketing is just one great aspect of the information potential on the internet. It is a by-product of the future of marketing. Getting familiar with it now will place your business on a better footing for future marketing strategies. What is Market Research? Why Should You Outsource It? How to Register Your Domain Name? © 2017 all rights reserved by UPLARN.